Since 1995, LEWIS AND DICKSTEIN, P.L.L.C. has provided top quality legal counsel to clients facing a variety of charges. We have represented clients facing everything from domestic violence to retail theft to sexual assault to homicide. We have defended countless clients on charges for possession of narcotics and other controlled substances and have helped clients receive less severe punishments and acquittals in some cases. Drug possession charges in Novi, Michigan should be taken seriously, since the Novi District Court judges are very tough and jail time is always an option for these offenses. I am currently facing drug charges. Will I go to jail? In the State of Michigan, a first offense possession of marijuana is considered a misdemeanor, which carries up to one year in jail, up to two years of probation, loss of driver’s license, and $2,000 in fines as punishment. The severity of your punishment for possession of marijuana will change depending on how much you had in your possession and many other facts like your prior record, employment history, and much more. A second offense of possession of marijuana carries a possible sentence of up to 2 years in prison. The maximum sentence for felony drug possession is 4 years. In reality, few individuals facing charges for possession of narcotics receive the maximum jail sentence; however, long terms of probation with burdensome terms, conditions and costs are very common. The most common drug found on a person is marijuana. Anyone convicted of drug charges will have their license suspended for 6 months. The bottom line is that a great drug crimes defense attorney gives you the best chance of avoiding jail or prison and a term of probation that sets you up for failure. This is my first possession charge – Do I need an experienced lawyer? While some courts tend to “go easier” on individuals facing possession charges for the first time, others are known for going overboard in either punishment or severe probation conditions. Either way, the consequences remain severe. Even in first offense drug possession cases, if you are convicted, you face a mandatory 6 month suspension of your driving privileges if you are convicted. Under the care of an experienced and tenacious attorney who has represented thousands in your situation, the likelihood of you being able to keep your license and avoid a conviction is higher. After 30 days of suspension, the defense attorney can request restricted driving privileges which allows the convicted person to drive to work or school or court-mandated activities only. Other consequences if found guilty of drug possession includes the possibility of the federal government denying financial aid and federal housing assistance. The individual must carry around a conviction on his or her criminal record, which will slow down and even ruin any chance of obtaining future employment, getting a promotion or a professional license. The consequences of a possession charge are serious, which is why you need a top drug crime lawyer to represent you. I have heard of 7411. What is it? Michigan law allows for the possibility that those facing first time possession charges can enter a guilty plea and have their cases taken under advisement so that there is no public record or loss of driver’s license. Getting a judge to agree to 7411 can sometimes be a challenge and the defense attorney plays a vital role in the process of persuading the judge to grant this special status. If you are granted 7411, the judge may require alcohol and drug education courses along with random drug/alcohol testing, but if you fulfill the terms of agreement, then no conviction will appear on your criminal record. Please call LEWIS & DICKSTEIN, P.L.L.C. 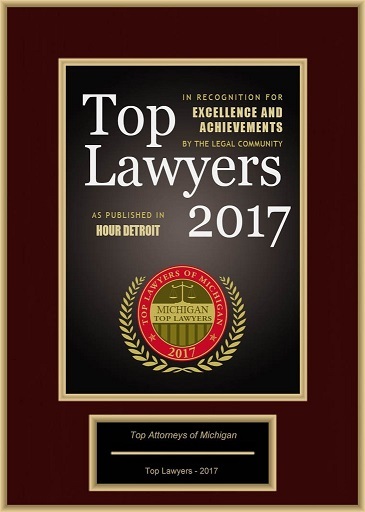 at (248) 263-6800 to learn more about how we can help defend and protect you from felony or misdemeanor drug charges in Novi, Michigan. Complete a Request for Assistance Form and we will promptly contact you. We will find a way to help you.